The low alcohol is a nice change but this 13 year old wine is pretty tired. I did buy it only a year or so off retail shelves so did not expect much. 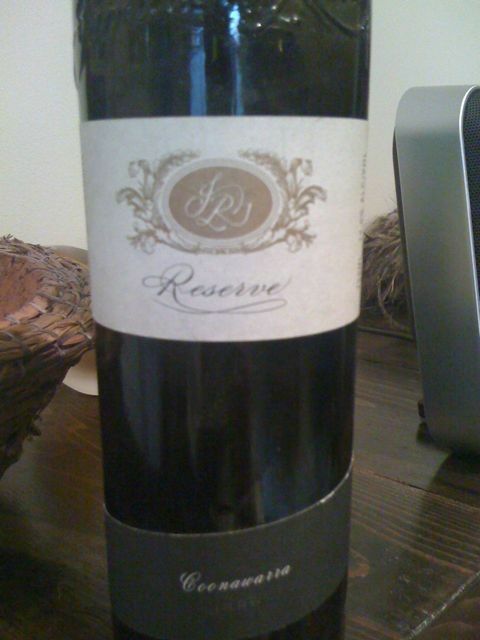 This entry was posted in Australia, Cabernet Sauvignon, Wine by ByronSharp. Bookmark the permalink. I purchased Jamiesons Run in 1999 and it was Cabernet Shiraz Merlot from 1996 (Gold Medal Winner at 1998 National Wine Show in Canberra, Cass 50)… 13%… very distinctive taste after spent 8 years on my wine rack… Suggestion for the winery – use better corks!